I began painting after working in glass for over 15 years. There is so much I love about glass. Vibrant colors, transparency, translucency, the transformation that happens in the kiln as heat and time combine as my partners in creation. Oh, and the meditative state I would enter while wrapping copper foil around hundreds of pieces of glass in the large stained glass pieces I made. Glass and I have had a long and lovely relationship. And I am letting go of glass completely, that season is complete. I have a LOT of glass, equipment etc. Or had. Recently I sold most of it. I met Valerie at a workshop I took at Bullseye Glass in July 2012. I didn’t know it at the time but that would be the last glass technique I would learn. As I deepened my relationship with painting I began toying with the idea that I might be done with glass. The longer the glass studio sat idle the clearer my decision became until recently I put the word out – I was selling everything. Valerie expressed interest in my kiln and perhaps some of the other fusing items I had. In Spanish there is a phrase of welcoming someone into your home – “Mi casa es tu casa”, my house is your house. Well, my warm glass studio is now Valerie’s studio. I think both of us were pleasantly surprised at the outcome. Thank you Valerie!! Here is the synchronicity. I had some special glass that isn’t made anymore. I put an ad on Craigslist for it. Got a response, called the person. 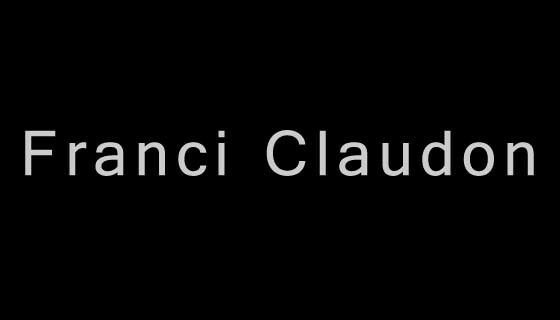 I’m talking about the glass – she interrupts and asks if I’m the Franci that used to live in Pacifica and I said yes (hesitantly) and she said this is Nancy (last name). Whoa! I met Nancy when I very very first started doing glass. We and a third lady Danette became good friends but then I drifted away lost in my corporate existence. Nancy, Danette and I have now reconnected and they bought the glass I had. Glass I bought when we went to the closing of the Oceana foundry together over 10 years ago. Bookends. Dots of the journey from beginning and ending. Connecting and reconnecting with friends I’ve made along the path. Energy released by sending all these stagnating items out into the world where they can be transformed into more art to be enjoyed. $$ in the bank. Now that’s what I call a good day.